In 19th century, Cossacks returning from the Napoleonic Wars established a village in what is now the Chelyabinsk oblast of Russia. It was named after Paris, and their descendants later erected a miniature Eiffel Tower. 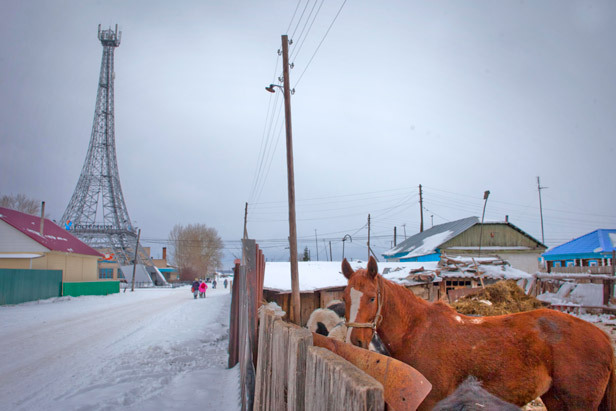 Besides of this replica, Paris is a typical Russian village. Locals spend their days working on the crop fields and raising cattle and poultry. By the way, according to historians, almost 1 000 years ago Russian countess (and later a French queen) Anna Yaroslavna has described Paris as a “big village”. Nowadays, this phrase is still popular among Russians.